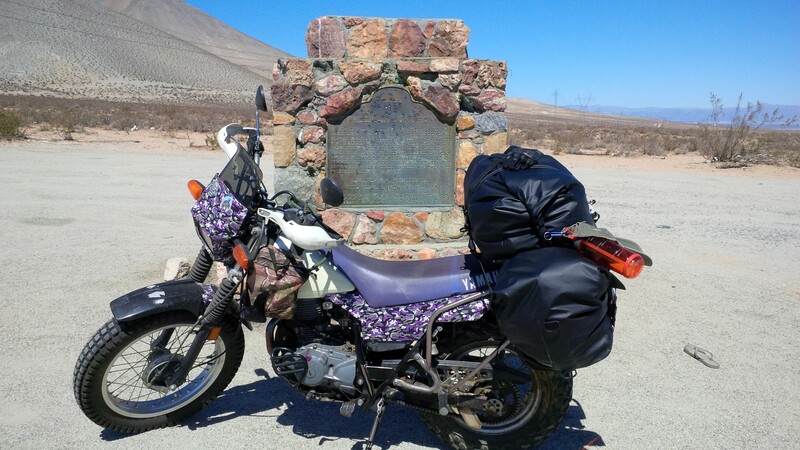 Now that I got all of my gears into my new luggage system by Nelson-Rigg, it’s time to hit the road up to Mariposa. Now, remember the little “t-dub” can only go on average 60 mph well if I’m lucky and going downhill, I can get it up to 65 mph. So my route will be taking me on the back road all the way and will take approximately 2 days to get there. I hopped onto the US 395 North to the SR 178 West which was my first stop of the day. I’m a sucker for historical plaque on the side of the road and there was one on the junction of SR 178 and SR 14. State of California had installed plaques on properties throughout the state that are of historical importance. At this junction was plaque No. 766 called Freedom Junction where the famous explorer Joseph R. Walker passed through here on his way to Yosemite Valley. My second stop of the day was right before Walker Pass, I was stopped due to construction which in turn made it into a one lane thoroughfare. 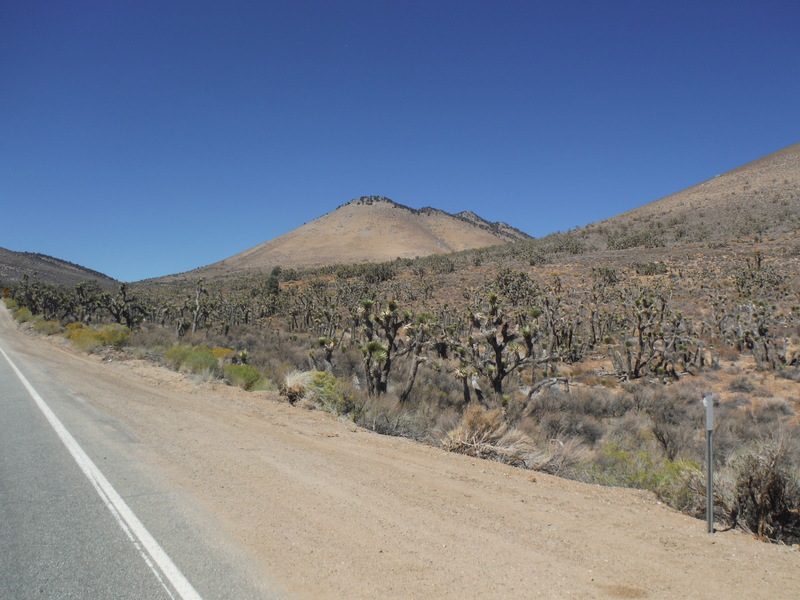 As I was waiting for my turn to navigate through, I surprised to see all the Joshua Tree are densely packed onto each other unlike the ones at the Joshua Tree National Park where they’re more spread out. 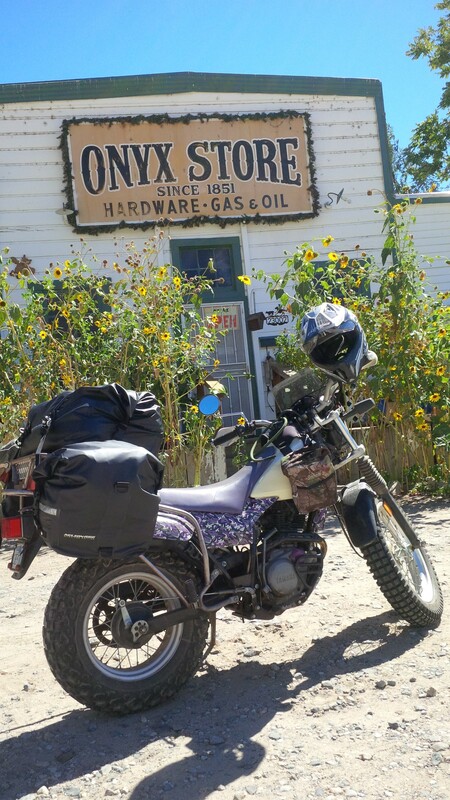 The next stop on the route was the Onyx Store which is the longest continuously operating store in California. It’s full of nicks and knacks and also serves sandwiches. 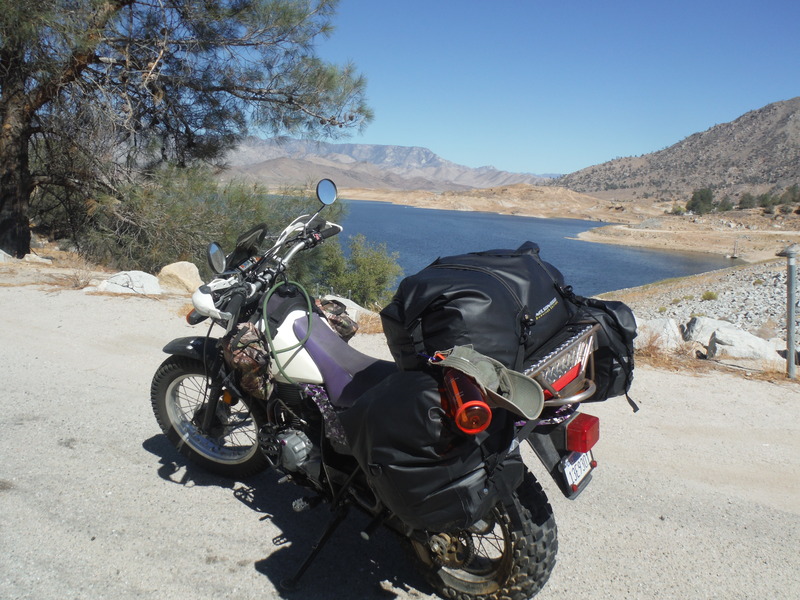 As I rounded onto SR 155, I took a stop to view Lake Isabella. This area was founded by Steven Barton in 1893 and named in honor of Queen Isabella of Spain. Tourist trade is a major economy for this town for various outdoor activities such as hiking, kayaking, and water skiing. I noticed that the water is quite low and researched that it was only at 14% capacity right now. California is in a serious drought and hopefully we will get some rain soon to get us out of it. Final stop for the night was the Bunkhouse in Glennville which is a small “Gold Rush” town with a population of 282. I just got into town right before dinner and was starving. Just so happened there was a restaurant called Hassano right in front of the motel. So I decided to pop in to get something to eat and was in for a sticker shock with the price tag for the meal. I thought “what the hell”, it was time to splurge and treat myself. 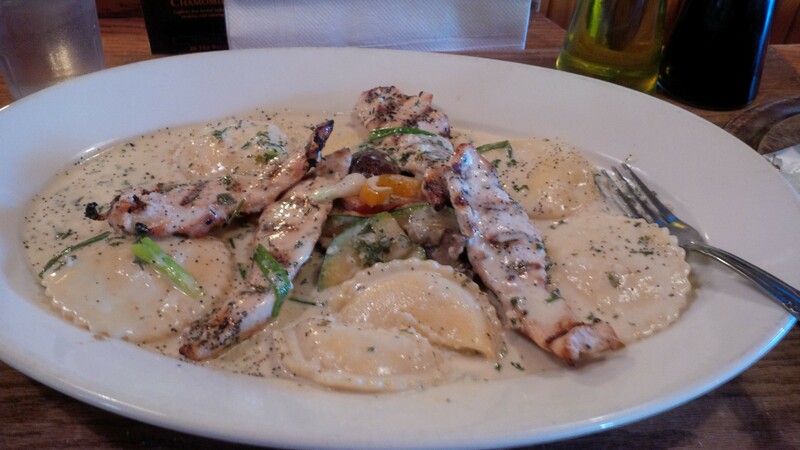 I ended up ordering the Charbroiled Chicken Ravioli and it was so good that it could have come out of a 5 star restaurant. It was definitely worth the price! Who knew that you would get a divine meal in the middle of nowhere? After a good meal and a good night rest, it was time to continue the journey. This time the route took me to onto SR 155 West to SR 43 North to Route 198 West and onto SR 41 North. The area was mostly flat and long stretches of farm lands. 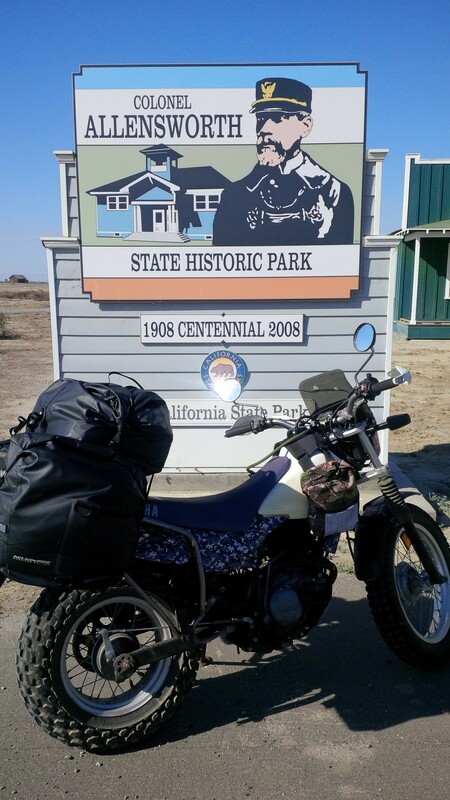 However, while on SR 43, I stumbled upon Colonel Allensworth State Park. I have forgotten about this place and have always wanted to go and decided to stop and check it out. Colonel Allen Allensworth born into slavery escaped and became a Union soldier; later he became a Baptist minister and educator, and was appointed as a chaplain in the United States Army. He was the first African-American to reach the rank of Lieutenant Colonel. He planted numerous churches, and in 1908 founded Allensworth, California, the only town in the state to be founded, financed and governed by African-Americans. 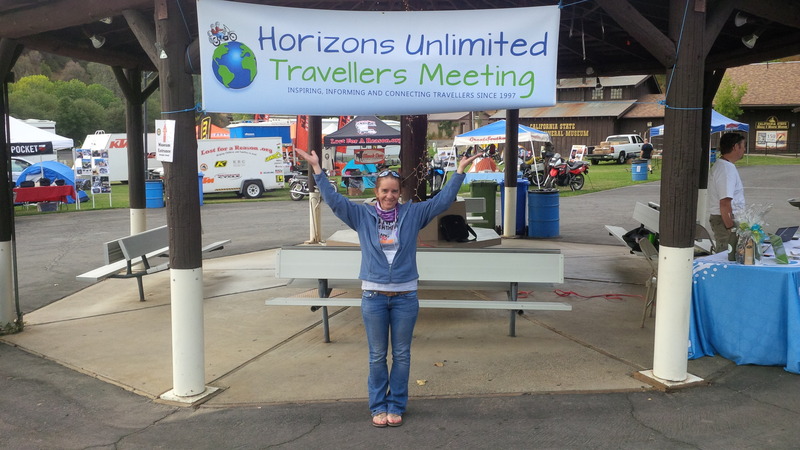 Finally made it to the Mariposa Fairground where the Horizon Unlimited California event is being held. Taking the back roads at a relaxed pace will make every moment more memorable. Safe travels and enjoy HU! Yes, it is one of the reason I’m taking the little bike on my trip next year. It will forces me to take the back road and enjoy the journey. Good read. Sounds like you’re getting it together slowly but surely. Yes I am…now the estate is closing, I can focus on prepping the bike for the year long ride.